Pizza Pan is a franchise that was started by Abed and Isa, many years ago. There are currently three stores with Abed owning the Seaview Downs business while Isa owns the other two. The Seaview Downs store is located within a small complex on Seacombe Road and is purely takeaway. There are 22 pizzas on the menu (17 standard and 5 gourmet) which come in four different sizes (small 9 inch, large 12 inch, family 15 inch, party 18 inch). All the pizza bases are the same thickness but Abed tells me that they can be made thinner or thicker upon request. 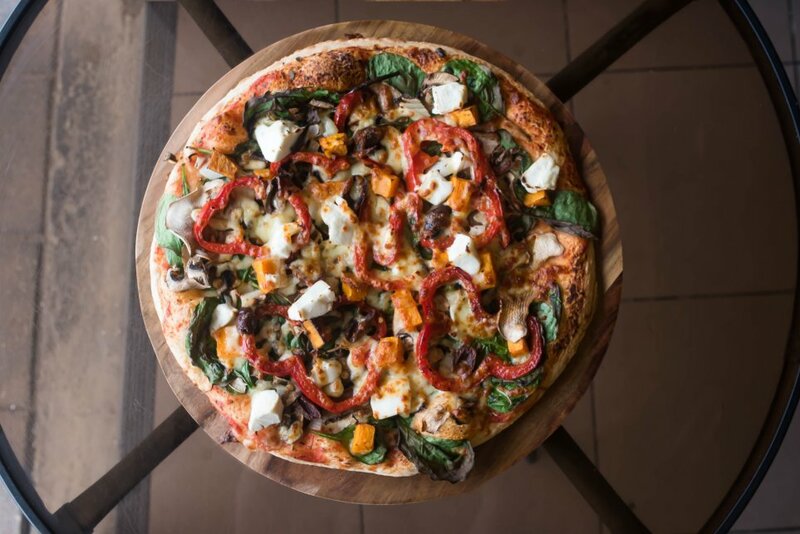 For lunch, I had the Gourmet Vegetarian Pizza which comes with spinach, mushrooms, onion, pumpkin, capsicum, feta and olives. The time for a pizza to cook is about 7 minutes, so there wasn’t much of a wait. Presentation wise, the pizza was nice and colourful, and I couldn’t wait to dig in. The ingredients were fresh, and the sweetness of the pumpkin and capsicum were balanced by the saltiness of the feta and olives. The pizza base was a classic crust style; not too thin but not too thick. Abed, the owner of Pizza Pan Seaview Downs, originally comes from Jordan and had spent many years making pizzas, even before coming to Australia. This shows in the quality of the pizzas that are made here. A large gourmet pizza will set you back $14.90, which is great value if you compare it to a cafe. With fast, friendly service, and quality ingredients used in their pizzas, why wouldn’t you come to Pizza Pan? Pizza Pan Seaview Downs is open from 3:30pm-9pm everyday except Monday.